Everyone seems to want a compact SUV today and so Volvo has brought one to market in the form of the XC40 – Volvo’s first-ever compact SUV. There are similarities with the bigger XC60, and even the seven-seat XC90, but the XC40 has a strong identity all of its own. The Volvo XC40 D4 has a 4-cylinder, 2-litre turbodiesel engine with an 8-speed automatic transmission and all-wheel-drive. On the outside it’s obviously a Volvo, but it has bolder styling than its bigger brothers. 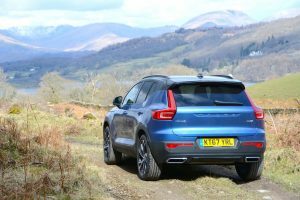 The interior has an overall feel that will be familiar to anyone who has driven the XC60 or XC90, which is a good thing, as it’s high quality, with an absence of fussy design details. 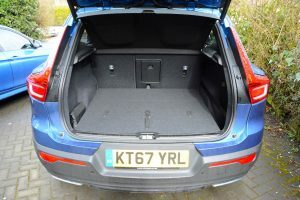 You also get lots of storage compartments, and a good-sized 460-litre boot. Under most driving conditions the Volvo XC40 is an extremely refined and quiet place to be. 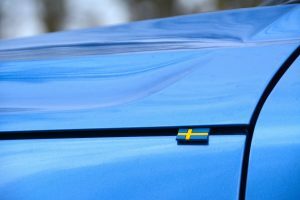 And like all other recent Volvos, it has an excellent ride, along with comfortable seats. Combine these elements together and long journeys become very pleasant experiences. And the XC40 is also very adept at coping with urban roads that currently seem to more closely resemble off-road routes due to all the pot holes. It may come as little surprise that the handling of this 1.7 tonne SUV is safe and secure rather than sporty and agile. The overall calm driving experience can be spoilt if you ask too much of the engine, when it can sound, and feel, strained. The automatic gearbox is also effective most of the time, although it can be somewhat slow when moving off from standstill. You can also change gear manually using the steering wheel-mounted paddles. There’s a drive mode switch, which is more of a conventional switch than the chrome-effect affair found in the XC60 and XC90. The drive mode settings control the responses of the engine, automatic gearbox, steering, brakes, all-wheel-drive system and the climate control. Comfort is the default setting; Eco calibrates engine, automatic gearbox and accelerator responses for the best economy; Dynamic makes the throttle more responsive; Off Road maximises performance on slippery surfaces, but only operates below 25mph; and you can set your own preferences in Individual mode. The XC40 AWD operates in front-wheel drive most of the time, with the ability to send up to 50% of torque to the rear wheels if needed. 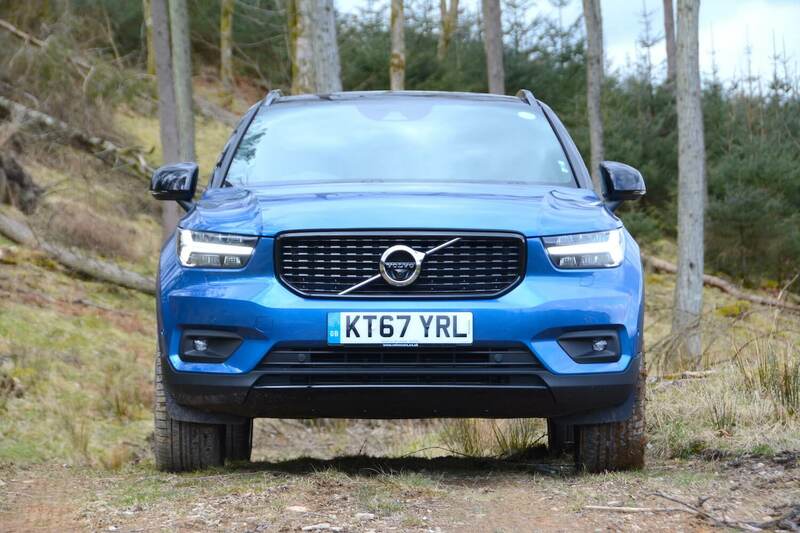 We carried out some off-road driving and the XC40 coped adequately; although the tyres didn’t have any form of off-road tread, on the large 19-inch wheels they just drove over everything with no problems. 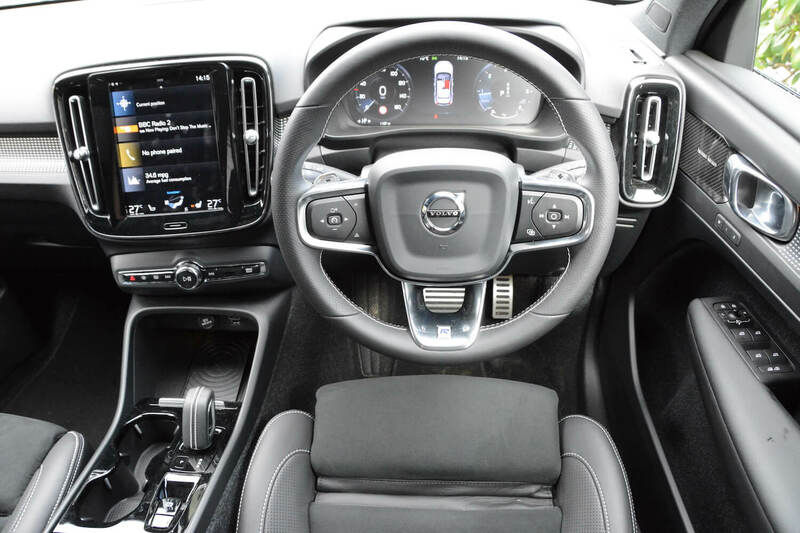 The XC40 infomedia system is shared with other Volvos; there’s a nine-inch touch screen with Volvo’s Sensus system. We’re not fans of many touch screen systems, unless there’s a separate iDrive-style rotary controller, but Volvo’s system is very good, with excellent high quality graphics, and it’s more user-friendly than many other systems. However there’s still a lot of complex information on here, which can take some finding while driving. Although the steering wheel and seat have decent adjustment, the steering column doesn’t come out very far, and the silver trim on the spokes of the steering wheel prevents you from wrapping your hands fully around the wheel where it meets the spokes. 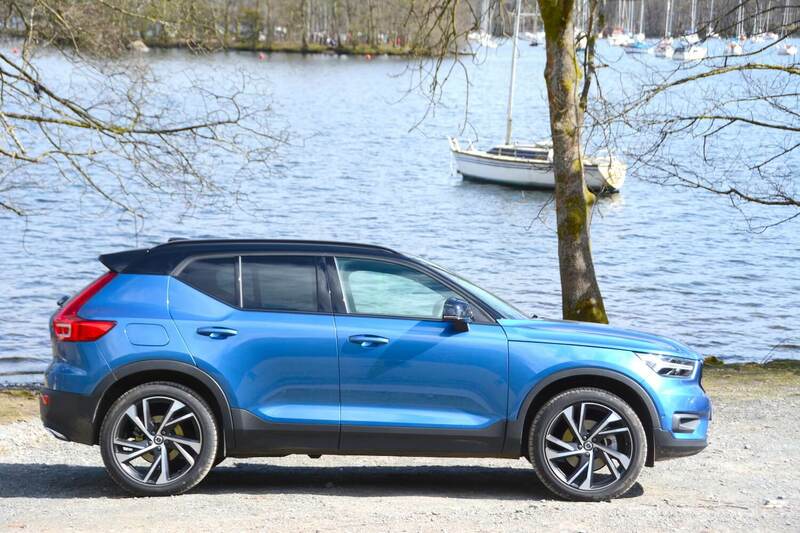 The official combined fuel economy for the Volvo XC40 D4 AWD is 56.5mpg, with CO2 emissions of 133 g/km. Because we’re currently in a changeover phase from NEDC to WLTP, this is an NEDC figure correlated from WLTP-based testing (this is the figure that UK government taxation is based on currently). As an indication of how the emissions figures will change (ie. worsen) when we transfer to WLTP, without the calculation to convert the figures back to NEDC, the combined WLTP CO2 emissions figures for the D4 AWD range from 166-185g/km CO2. In our real-world economy test, we averaged 40.3mpg at 70mph on the motorway, 40.9mpg at 60mph on A-roads, and 42.6mpg at 50mph on A-roads. 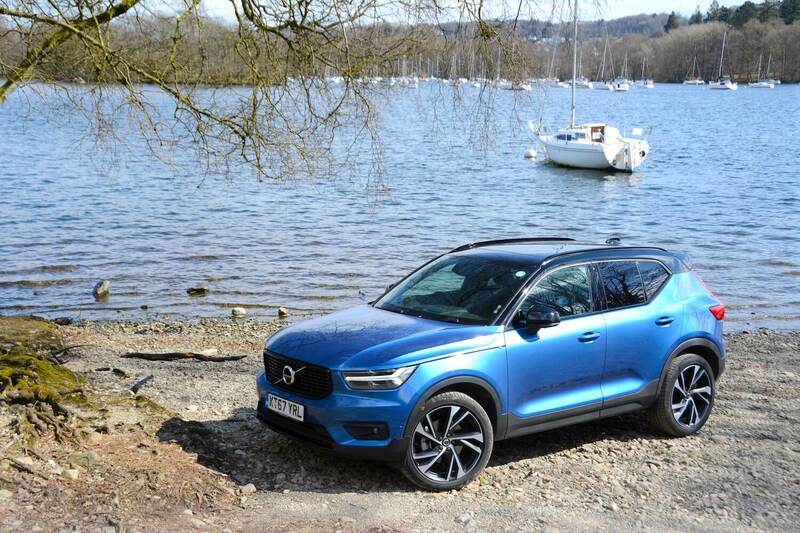 When 34.6mpg urban driving was thrown into the mix – and some Lake District hills – the average economy of the XC40 after a week was 38.0mpg. This is perfect proof that although everyone wants a compact SUV, at 1.7 tonnes the XC40 is heavy, and it isn’t the most aerodynamic shape, so if you really want an efficient car, don’t buy an SUV. The Volvo XC40 D4 AWD First Edition, as tested, costs £39,905. A very rare occurrence for a press car, it came with zero options. This is because the First Edition – which is based upon R-Design Pro specification and is now sold out – is completely fully loaded with just about every bit of equipment that’s available. There’s too much to list, but some highlights are the Xenium Pack, Intellisafe Pro, Convenience Pack, Harman Kardon Premium Sound, Power Driver Seat with Memory for Seat and Mirrors, Power Passenger Seat, Heated Steering Wheel, Heated Rear Seats, Gear Shift Paddles, and 19-inch Alloy Wheels. 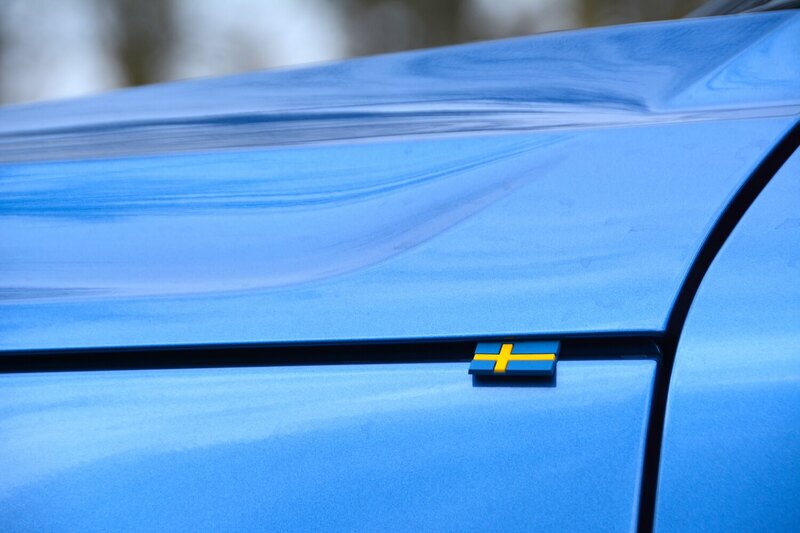 Trim levels, with expected sales splits, are: Momentum (20%), Momentum Pro (10%), R-Design (30%), R-Design Pro (10%), Inscription (20%) and Inscription Pro (10%). The XC40 range is available from £27,905 for the T3 FWD Momentum. 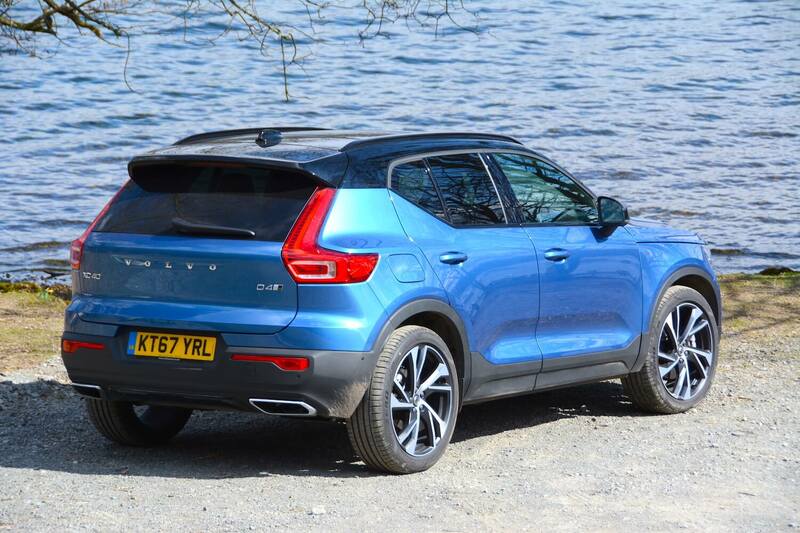 Three petrol and two diesel engines are offered in the XC40, with power outputs ranging from 150hp to 247hp. The T3 petrol engine comes with a six-speed manual gearbox, and the D3 diesel is available with a manual or automatic gearbox. The T4 and T5 petrols and the D4 diesel come with an eight-speed automatic transmission. 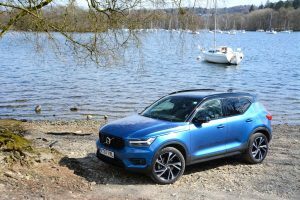 We’ve also driven the XC40 with a petrol engine and it’s as equally competent and desirable as the diesel, but it doesn’t quite promise the same levels of economy. The anticipated sales split for the XC40’s engines are D3 FWD (40%), D3 AWD (20%), D4 AWD (15%), T3 FWD (10%), T4 AWD (10%), and T5 AWD (5%). D4 diesel and T4 and T5 petrol versions of the XC40 come with all-wheel drive as standard, while the D3 diesel is available in front or all-wheel drive form. 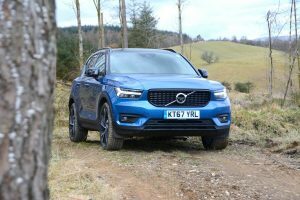 The Volvo XC40 D4 AWD has launched itself straight into the compact SUV class and has gone pretty much straight to the top of the class. 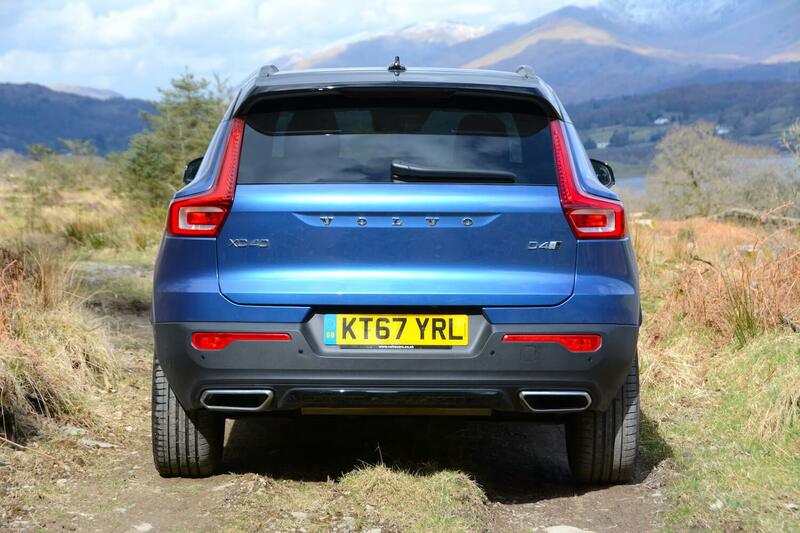 As a compact SUV for everyday all-round use, it’s refined, high quality, well designed and practical. In a very crowded sector, it seems to have carved out a niche to set itself apart from rivals. 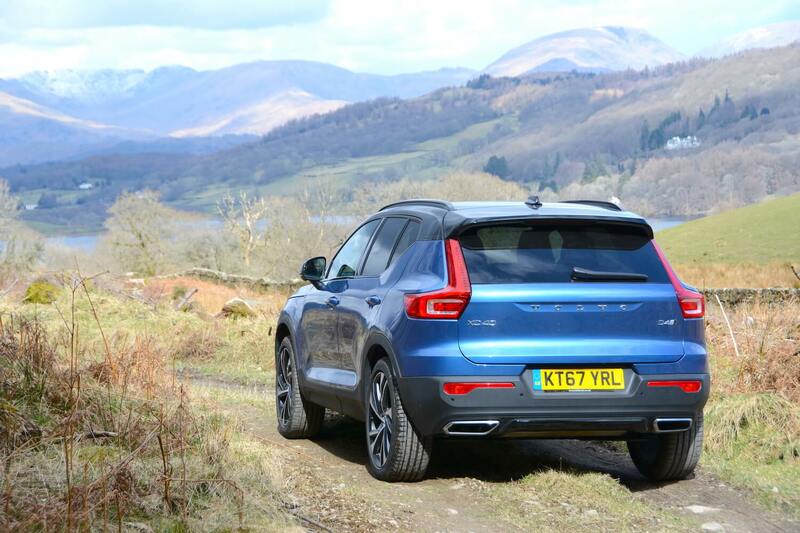 It therefore gains a Green Car Guide rating of 9 out of 10, for being a highly impressive all-round car, but it can’t quite score a 10 because a 1.7 tonne SUV with poor aerodynamics relative to a smaller car just doesn’t tick the box for ultimate efficiency. And of course we’re also obliged to say that a diesel SUV isn’t recommended for driving patterns that primarily involve urban use. 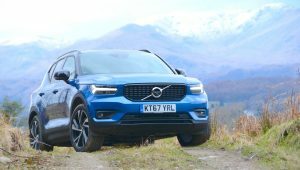 It’s worthwhile noting that plug-in hybrid and pure electric versions of the XC40 are due to be launched over the coming years, but unfortunately they’re not quite here yet.